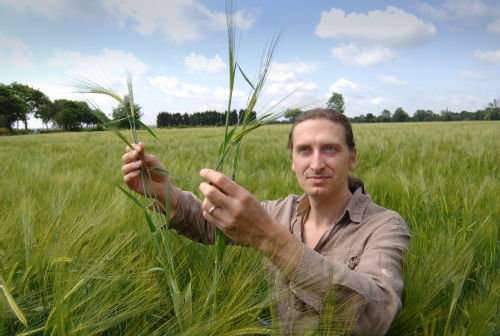 Professor Robin Allaby, in Warwick's School of Life Sciences, has discovered that human crop gathering was so extensive, as long ago as the last Ice Age, that it started to have an effect on the evolution of rice, wheat and barley - triggering the process which turned these plants from wild to domesticated. Professor Allaby and his colleagues made calculations from archaeobotanical remains of crops mentioned above that contained 'non-shattering' genes - the genes which caused them to retain their seeds – and found that human gathering had already started to alter their evolution millennia before previously accepted dates. "This study changes the nature of the debate about the origins of agriculture, showing that very long term natural processes seem to lead to domestication - putting us on a par with the natural world, where we have species like ants that have domesticated fungi, for instance." The research, "Geographic mosaics and changing rates of cereal domestication," is published in Philosophical Transactions of the Royal Society B.